One of the hardest parts of the military lifestyle would hands down have to be the deployments. Throw kids into the mix and we’re talking a whole new ballgame. Navigating motherhood when your spouse is deployed isn’t easy but comes with the territory. And luckily, there are ways to manage it. My husband left when I was 8 weeks pregnant and came home for R&R (two week break during deployment) when I was 38 weeks pregnant. I was induced at 39 (for medical reasons) and when my son was 6 days old, my husband had to return to Afghanistan for 2 more months. That goodbye was the hardest thing I’ve ever done and as I stared at my newborn with NO clue what I was doing, I wondered how I would ever make it through the next few months on my own. But I did it. And then I did it again when my husband deployed for a second time. But this time, with two little ones in tow. And while it was extremely difficult, I was older, wise, more experienced, and ready to face this deployment head on. 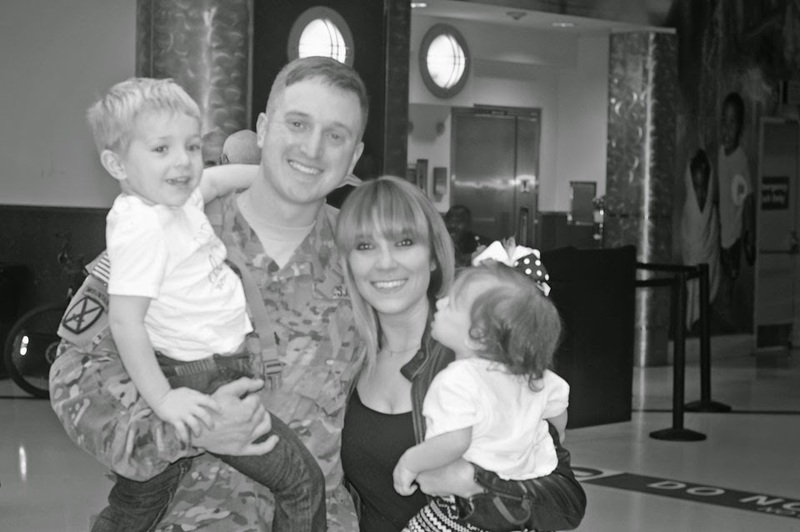 So how do you navigate motherhood when your spouse is deployed? Accept help. This goes for motherhood in general but especially when your spouse is deployed. Allow friends and family to drop off meals, watch your kids, and help you clean the house. It doesn’t make you any less strong or capable, trust me. Set a schedule. If your kids are on a schedule, it’s beneficial for everyone. Military life lacks stability a lot of time so if you can actually control this aspect of their lives, the’ll thrive. And to be honest, it will keep you sane too. You need to have time to decompress and recharge and if you have the kids on a schedule, you’ll allow yourself time for both of these things. Be patient with their behavior. 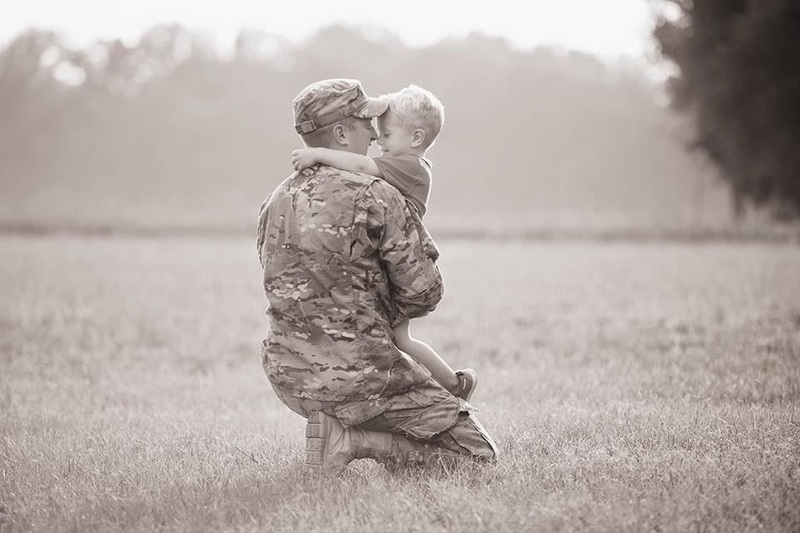 My son had a really hard time when my husband deployed the second time. He was almost three so he knew what he was feeling but didn’t know how to express it. So there were a lot of times he would cry, yell, get angry, and just be downright naughty. And I had to remind myself that it wasn’t his fault. Instead of getting angry and yelling, I tried to sit down and talk to him about what he was feeling. There are a ton of books that discuss feelings in ways kids can understand. Try that and see if it helps! Make time for yourself. Find something you love to do and DO it. If you love to read, join a book club or buy some new books to read in your downtime. If you love to dance, find a dance class and go to it. Do NOT feel guilty for doing something for yourself. If you need some more ideas, read this post. Use your resources. If you stay near post during your spouse’s deployment, there are a ton of benefits. 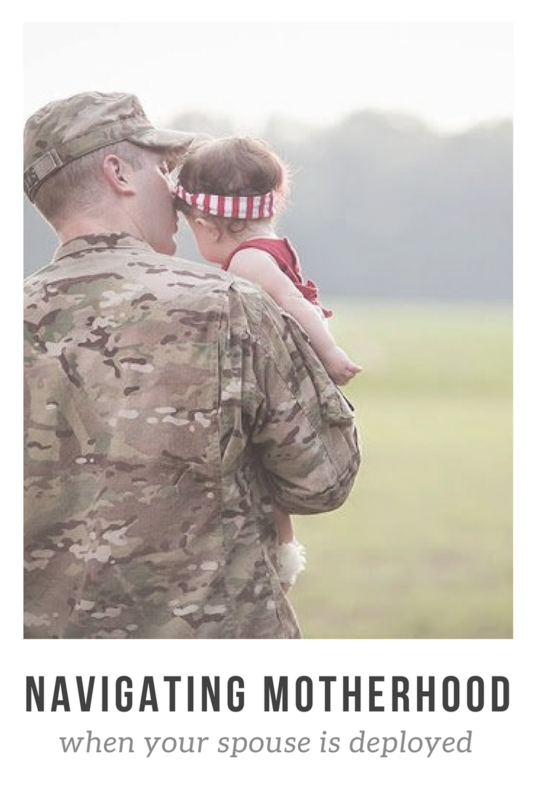 Certain organizations on post offer special credits for children who’s parent is deployed, so you can enroll them in different sports and activities. The CDC (Child Development Center) is also a huge relief with childcare costing only $2 an hour. 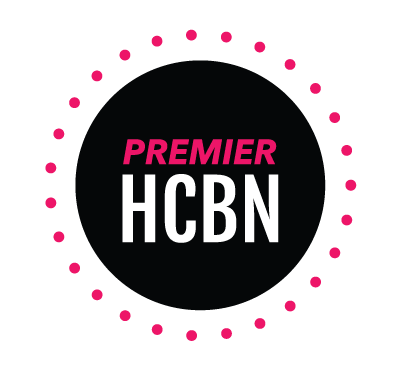 If you’re a new mom, get in contact with 1 Natural Way. 1 Natural Way is an in-network Tricare breast pump provider for all Tricare plans, so you can receive a Medela or Spectra breast pump at no cost through insurance. In addition to the pump, 1 Nautral Way also offers supplies delivered monthly to your door, compression socks, and postpartum care supplies. As we know, is a huge convenience for new moms…especially during deployment! As we prepare for our newest addition, I was able to take advantage and order a new breast bump. It was a super easy process too; I entered my information on their website, they checked with Tricare, and it was on it’s way to my house! But they don’t JUST accept Tricare insurance, they accept most major insurance plans. So be sure to check out their site to see if you qualify! Housework will get done. Do what you can around the house but don’t beat yourself up. The laundry will get done, the floors will get swept, and the dishes will get put away. Do not try to do it all or set your expectations high. It’s okay to have things out of place; you’re raising humans and supporting your deployed spouse. That’s way more important right now. Make more time. This was extremely hard for me during the second deployment. My kids were almost 3 and almost 1 and I was working full-time from home and part-time outside the home. I was also still breastfeeding my daughter and she refused a bottle, so it was extremely challenging. I ended up quitting my part-time job (and I’m thankful I had that option) because in our personal situation, I needed to be the stability in my kids’ completely unstable situation. Whether or not you work from home or outside the home, make sure you’re putting the work or phone down and giving them your undivided attention when you can. Spend one-on-one time with your kids. Whether you have one or ten kids, try to make a special time for each of them. Where it’s just the two of you and you’re doing something special or fun. It could be something simple like reading in their bedroom or taking them out for ice cream. They will thrive on this attention when their other parent is deployed. Find other mamas that know what you’re going through. I was constantly in contact with other women who knew what I was going through. Whether it was just someone to text in the middle of the night or someone to run to Hobby Lobby with me, it was comforting having someone who just got it. Some units have FRGs (Family Readiness Group) but my husband’s unit didn’t. But chatting with the other spouses kept me sane and I knew if I needed them, they would be there to help me. There is no simple answer to navigating motherhood when your spouse is deployed. But luckily, there are a ton of resources for spouses and the support is out there. Just take it one day at a time and remember, this too shall pass. 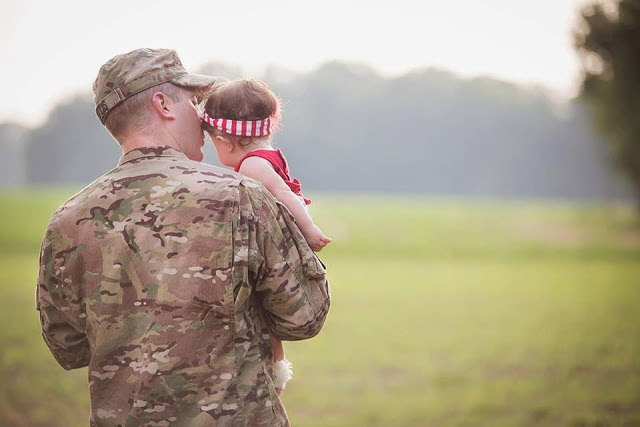 How do you navigate motherhood when your spouse is deployed?